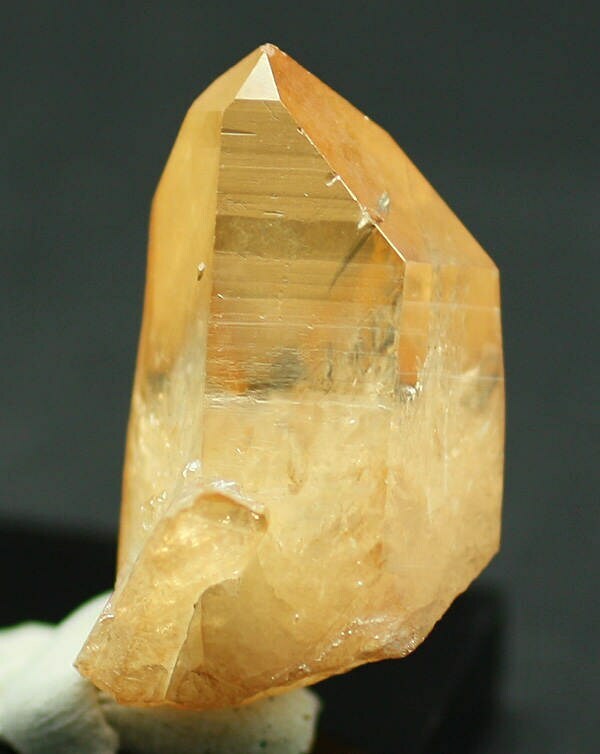 A beautiful Orange Aqua Aura Quartz crystal. The Quartz crystal is bonded with Gold to give this wonderful color and iridescence. Measures 3.0 x 1.7 x 1.7 centimeters, 1 3/16 x 5/8 x 5/8 inches. People interested in the metaphysical properties of these crystals tell us that aura quartz is a powerful healer on physical¸ emotional¸ cellular¸ multi-dimensional cellular memory¸ and on a psychological and spiritual level. Orange aqua aura quartz is an excellent crystal for working with energy fields¸ enhancing energy healing and bringing our body into balance.